Hacienda Santa Cruz is a 4.5* resort located in Merida-Airport Area, Mexico. It features 25 rooms, swimming pools and spa services. Enjoy a unique stay at the seventeenth century property that houses Hacienda Santa Cruz, which used to be a thriving henequen and the home of Franciscan monks. 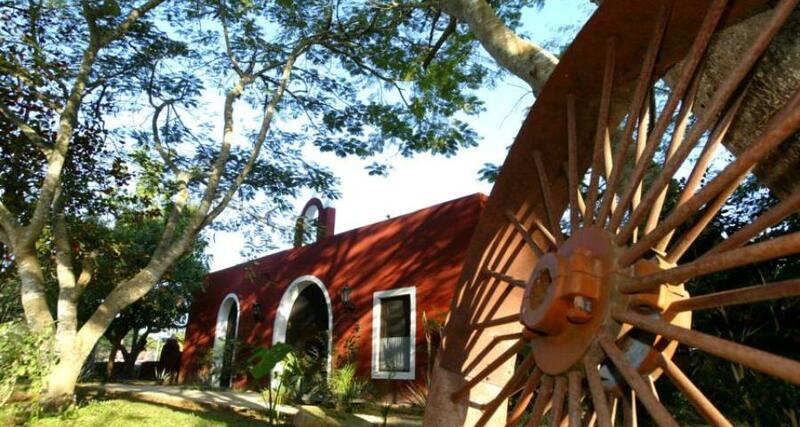 This seven hectare hotel is located near the city of Merida. It features beautiful trees and lush vegetation, and is surrounded by an impressive stone wall. Guests can enjoy luxurious facilities, including a restaurant, a bar, a swimming pool and a massage center. They also have a chapel and other fantastic services that make your stay relaxing and memorable.